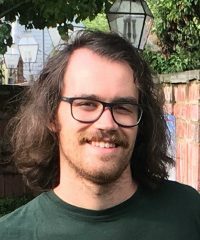 Jeffrey Gay is a PhD student in the Earth and Planetary Materials group at the Université de Lille since October 2018. He received a Bachelor degree in Geology from the Montana State University and a Master degree in Geophysics from the University of Utah in the United States. He is interested in deep Earth materials interactions, extreme conditions experiments, and the deformation properties of minerals. In his free time, he can be found snowboarding, climbing, and cycling. In the past, Jeffrey taught mineralogy and structural geology as a teaching at the University of Utah. His PhD project is funded by the TIMEleSS project. His role within TIMEleSS will concern phase transitions in mantle minerals. Federica Rochira and Estelle Ledoux attended the Doctoral Training on Internal Earth in Les Houches during the last two weeks. 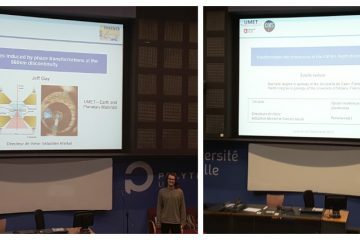 The lecture topics included Earth magnetism, with Céline Guervilly and David Cébron, Mineralogy by Nadège Hilairet and James Badro, Mantle Dynamics by Clint Conrad and Maylis Landeau, and deep Earth Seismology by Ed Garnero and Pierre Boué. Xavier Le Pichon gave the introductory seminar, a rare opportunity to meet one of the fathers of plate tectonics! Two weeks of great opportunity for advanced classes and meeting world experts! 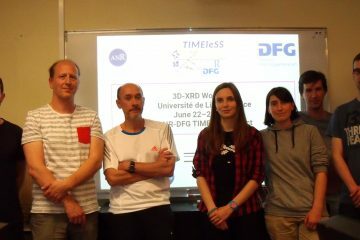 The TIMEleSS team is holding a first training session on multigrain diffraction data processing. The session takes place on June 21-23 at the Université de Lille, in France. 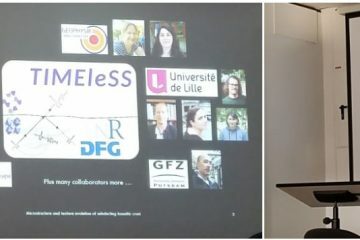 Participants (left to right on the image) include Julien Chantel, Sébastien Merkel, Sergio Speziale, Melissa Achorner, Estelle Ledoux, Ilya Kupenko, and Matthias Krug. 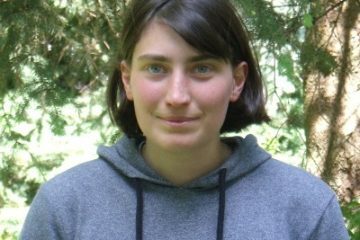 Estelle Ledoux is a PhD student in the Earth and Planetary Materials group at the Université de Lille since May 2018. She received a Bachelor degree in Geology from the Université de Caen and a Master degree in Earth, Environment and Planetary sciences at the Université de Orléans. She is interested in minerals, their microstructures, and how they can be induced by deformation. After working on the deformation of natural plutonic rocks under the Cyclades islands, she is now looking into the Earth’s interior. 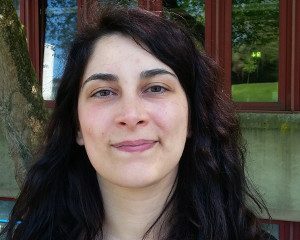 Her PhD project is funded by the Université de Lille and TIMEleSS. He role within TIMEleSS will concern phase transitions in mantle minerals. 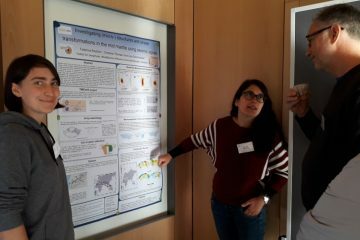 Federica Rochira is a PhD student in the seismology group at WWU Münster since March 2018. She received a Bachelor degree in Geology and a Master degree in Geophysics at the University of Bari in Italy. She is fascinated by the structure and composition of the Earth. 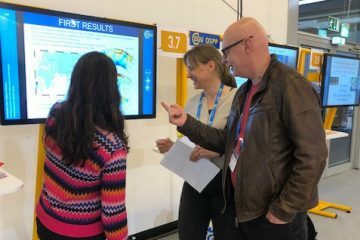 After working on the Earth’s crust, she is now looking deeper into the mantle using a multidisciplinary approach that combines seismology, the most powerful tool “to see” the interior of the Earth, with mineral physics, the key to interpret seismic data. 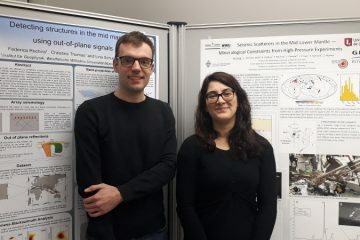 Her PhD project within TIMEleSS focuses on investigation of seismic signals from structures and discontinuities in the mid-mantle using array seismology method. 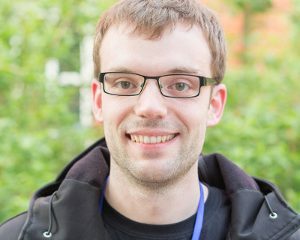 Matthias Krug is a PhD student in the mineralogy group at WWU Münster since April 2018. After finishing his Bachelor’s in Geosciences he continued with a Master’s in Geomaterials, both in Göttingen. He is interested in the composition of the earth’s interior and how different minerals and their phase transitions determine the behavior of the whole system. 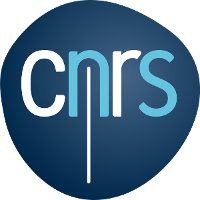 His contribution to the project will be to investigate microstructures and textures induced by phase transition in basaltic crust using high-pressure synchrotron experiments.